The most common way ophthalmologists check for glaucoma in routine eye exams is by testing a patient's intraocular pressure (IOP). The standard opinion in the medical community is that a higher than average eye pressure reading indicates a higher risk of glaucoma. One new study out of the UK, however, is changing how eye doctors think about IOP levels and glaucoma. Researchers in this study looked at 8,623 Norfolk residents and found that IOP readings weren't a viable method of detecting glaucoma. Researchers in this study found that 76 percent of patients who were just diagnosed with primary open angle glaucoma had an IOP below what eye doctors consider "above average." Researchers also note that IOP scores without supporting data on a patient's eye sensitivity couldn't accurately predict a person's glaucoma risk. Today, the National Institute for Health and Care Excellence (NICE) says a heightened IOP reading is anything 21 and above. The doctors involved this study argue that NICE should only recommend that doctors give patients with IOP readings of 24 and above a referral. Paul J. Foster, a professor at University College London Institute of Ophthalmology, was one of the lead authors on this study. Dr. Foster told reporters that referring patients just based on high IOPs is putting an unnecessary burden on NHS resources. Looking at the data from this study, Dr. Foster said, "The evidence around the performance of IOP for either screening or case-finding is not strong." Instead of looking just at high IOP readings, Dr. Foster and his colleagues suggest ophthalmologists take a closer look at the structure of the eyes. A few key indicators Dr. Foster encourages ophthalmologists to look at include visual field defects and abnormalities in the optic disc. To help eye doctors keep track of a patient's optic disc over time, Dr. Foster highly recommends using an optical coherence tomography (OCT) device. Eye doctors around the world are discovering the benefits of using an OCT device to perform longitudinal analyses on their patients' optic discs. Farah Gatrad, Association of Optometrists' (AOP) clinical and regulatory officer, said this research highlights the importance of optical disc analyses and visual field tests. If ophthalmologists don't have OCT devices, Dr. Gatrad suggests eye doctors keep a detailed record of fundus photographs for each of their patients. Glaucoma is one of the leading causes of blindness around the world. Usually the visual symptoms of glaucoma don't present themselves until the disease has already advanced a great deal. 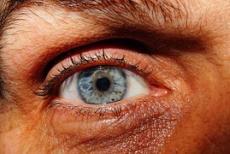 The only way to catch glaucoma early on is to get regular eye screenings. Eye doctors can manage glaucoma symptoms by prescribing eye drops such as Latanoprost. The key institutions involved in this study include the University of Cambridge, the UCL Institute of Ophthalmology, and the University of St. Andrews. In addition to Dr. Foster, key authors on this study include Doctors David C. Broadway, David F. Garway-Heath, and Kay-Tee Khaw. Anyone can read this full study in the September 2017 edition of The BMJ. This article is entitled, "Glaucoma and intraocular pressure in EPIC-Norfolk Eye Study: cross sectional study."